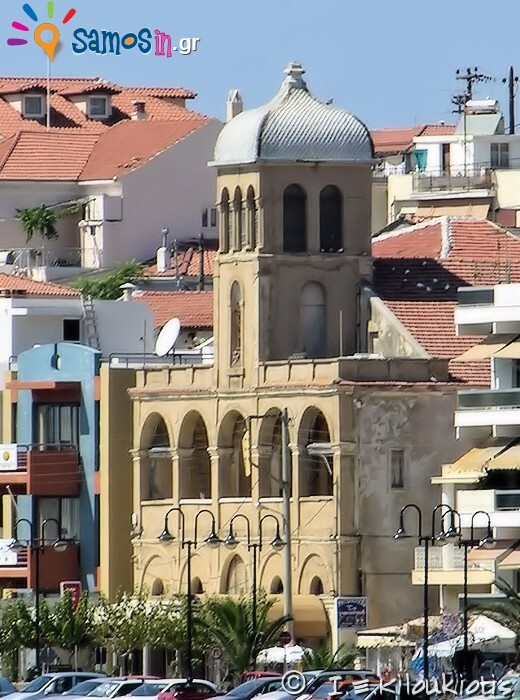 The Catholic monastery Assumption of Mary, or Fragoklisias (=Franks church), as the locals call, was founded in 1901 by the Sisters of St. Joseph,. The church belongs to Catholic Archdiocese of Naxos & Tinos, but the rest building of the monastery it’s privately owned and it’s closed. Call for more information. At the end of 19th century the Catholic organization “African missions of Lyon“ sent to Samos 3 priests who bought land to build a church, mostly because they interested about the Samos wines and more for the Holy Communion wine “Vins de Messe”. The Samians did not like to create Catholic church in Samos and the then prince “Alexander Caratheodory”, after much pressure, forced to grant permission for the construction. The Samian, response to the construction of the Catholic Church, no builder went to work in the building and were forced to bring craftsmen from Chios island. The building at ground floor included the church, offices and a spacious winery. At the first floor were the monastery with the houses of priests and brothers of the Mission, kitchen, dining room, a large hall and a classroom with organ. The listed building, now is in private hands, except the temple which belongs to the Catholic Church. In 1901,they came the Sisters of St. Joseph, and created the Catholic monastery and school, which studied Orthodox students from the entire island, which were taught French, Italian, English, German and Greek language, needlework, sewing, piano, painting, home economics, and more. 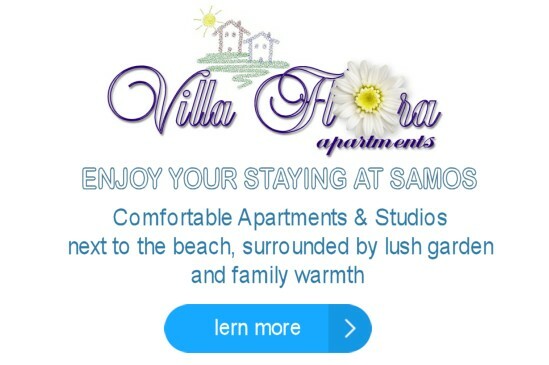 The contribution of school in educational and cultural development of Samos was great and never been proselytizing theme. A peaceful coexistence between Orthodox and Catholic Christians at the monastery of Samos. 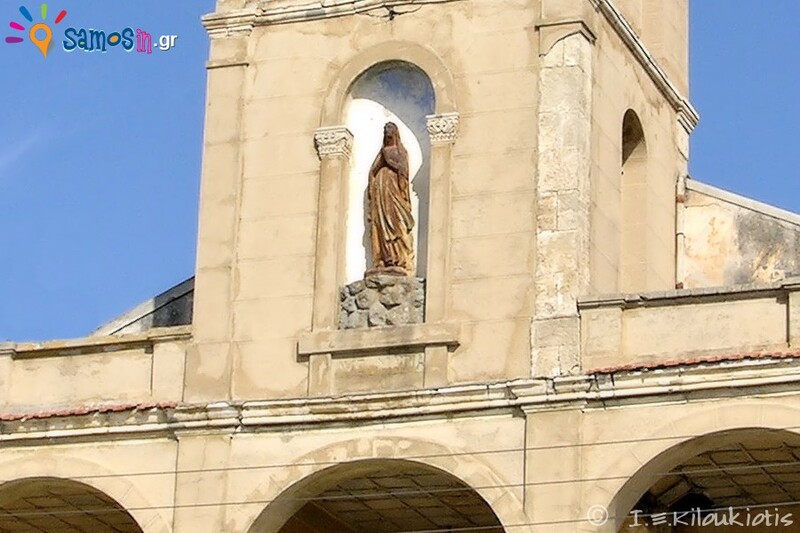 Priests, nuns and teachers of the school, offered a lot in difficult times of the island, such as the events of 1908, the Asia Minor catastrophe, the second world war and other difficult situations, that’s why loved by the Samian people, despite the initial reaction. It is noteworthy that the Municipality Samian, honored with the silver medal of the city, the last abbot “Francois Galliou” for his philhellenic behavior, his action and contribution during the second world war. After the withdrawal of the last abbot “Francois Galliou” at 1970, the monastery remained leaderless without replacement, the school had many problems and the summer of 1971 moved to Corfu island, leaving at Samos island a very important task. 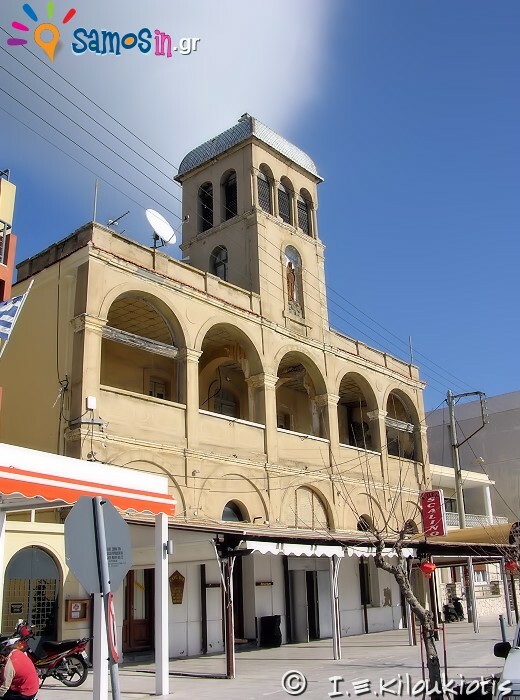 Only the church belongs to Catholic Archdiocese of Naxos & Tinos. The monastery building belong to private persons and it’s closed. Holy Mass to the church nearly every second Sunday.